TV show dates: July 31, 2015 — present. Performers include: Paul Rudd, Amy Poehler, Bradley Cooper, Elizabeth Banks, Janeane Garafalo, Michael Ian Black, Nina Hellman, Joe LoTruglio, Ken Marino, Christopher Meloni, Marguerite Moreau, Zak Orth, David Hyde Pierce, Marisa Ryan, Molly Shannon, Michael Showalter, A.D. Miles, Beth Dover, Chris Pine, David Wain, Eric Nenninger, H. Jon Benjamin, Jason Schwartzman, John Early, Josh Charles, Kristen Wiig, Lake Bell, Rich Sommer, Sarah Burns, Skyler Gisondo, Samm Levine, Mark Feuerstein, Marlo Thomas, Joey Bragg, Jai Courtney, Dax Shepard, Alyssa Milano, and Adam Scott. A comedy from Michael Showalter and David Wain, who also wrote the 2001 feature film, the Wet Hot American Summer TV show centers on the counselors of Camp Firewood, near Waterville, Maine. The original movie is set in 1981, on the last day of camp. Counselors and campers alike are trying to come to terms with leaving each other, while also getting ready for the big talent show. The Wet Hot American Summer concept is a spoof on the hyper-sexualized comedies aimed at teenagers in the 1970s and ’80s. The characters are all eager to hook up with the objects of their desire, before heading back home. The first season of the TV series, Wet Hot American Summer: First Day of Camp is a prequel to the film (which had debuted 14 years earlier), In it, the original cast continues to play their much younger selves, on the very first day of summer camp, and we meet new characters, as well. 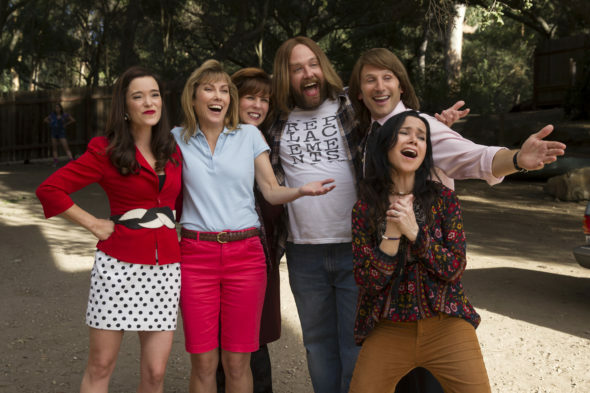 Season two, Wet Hot American Summer: Ten Years Later, centers on a Camp Firewood 10-year reunion. Everyone’s a bit older now, but are they any wiser? What do you think? Do you like the Wet Hot American Summer TV series? Should it be cancelled or renewed for another season on Netflix?